Don't head out to explore a new frontier without your wallet! 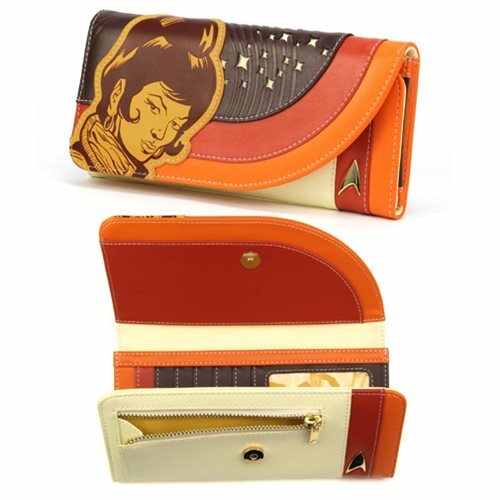 Keep your space currency in this Star Trek: The Original Series Uhura Retro Space Ladies Wallet is made of faux leather. This handy wallet includes 7x card slots, 2x cash pocket, and a zippered coin pocket. The front of the wallet even includes a metal Delta Insignia with a gold finish to make you look extra official. Ages 14 and up.